Vintage Beer? Aficionados Say Some Brews Taste Better With Age : The Salt Aging in the bottle isn't just for wine anymore: It can also bring out sweet, caramel tones in some high-alcohol, smoky or sour craft brews. Don't believe us? You, too, can try this at home. A stash of vintage beers at Dogfish Head Brewery in Delaware. In the late 1970s, a young Southern California beer enthusiast named Bill Sysak began doing something quite novel at the time. He bought cases of beer and stashed the bottles in his basement to age like wine. Over several years, Sysak discovered that some beers could develop rich flavors — like toffee and caramel — not present in their youth. Excited by what he found, Sysak ramped up his cellaring program and made it a full-time hobby. Today, Sysak's beer stash contains thousands of bottles, some acquired from other collectors and now more than 60 years old. Meanwhile, many more beer aficionados have begun experimenting with the art and science of aging beer. "There is a huge subculture of people in the beer industry with cellars who are squirreling away bottles, just like with wine, to keep for years," says Patrick Dawson, a beer writer and the author of Vintage Beer, which was released in March. Sysak, who works for Stone Brewing Co. as its "craft beer ambassador" and who wrote the foreword to Dawson's book, tells The Salt there is a considerable difference between aging beer in barrels — also wildly popular now among brewers — and aging beer in bottles. "When a beer is in an oak barrel, it continues to pick up flavors, like vanillins and tannins, that contribute to the recipe created by the brewer," Sysak says. Sediment in a glass of 1977 Ind Coope Strong Ale. Proteins in very old beers can coagulate into chunks at the bottom of the bottle, Patrick Dawson explains in Vintage Beer. But a beer aging in a bottle, which is virtually airtight, is affected by no material additions — just the effects of time. Most beers are not suited for aging. Light pilsners, pale ales, IPAs and most other styles with low or moderate alcohol levels will only deteriorate when stashed in a cool, dark place. Deschutes Brewery's assistant brewmaster Ryan Schmiege — a beer collector himself — says beers that contain lots of hop are generally intended to be consumed fresh, not stashed away to age. "Hop compounds break down rapidly," Schmiege says, and losing the aromatic qualities of a carefully brewed IPA, he says, "is tragic." For a beer to benefit from aging, there are several basic prerequisites. First, it should be strong — at least 8 percent alcohol by volume. Alcohol acts like a preservative against a beer turning stale or skunky. Virtually all beer bottles display the alcohol content. Sweetness, from residual sugar that didn't ferment during brewing, also helps, as the sugars develop malty, caramel-like overtones. Smoky-flavored beers, as well as those affected by souring yeasts or bacteria, can also do well in the cellar. Sour beers, a popular brewing method, are easily found at many beer stores, as are smoke-flavored brews. Those shopping for cellarworthy beers should ask for tips from the retailer. With high-alcohol brews commonplace in the craft beer world, finding age-worthy bottles is easy to do. On the other hand, finding beers already aged for some time in a cellar is more challenging, as most retailers and small breweries don't have the storage space to keep large library collections of past vintages. Your best bet for locating old bottles is to inquire with beer-specific retail shops — the sorts of stores with entire walls devoted to shelves of beer. Examples include Craft Beer Cellar in Belmont, Mass., Monk's Cafe in Philadelphia, Falling Rock Tap House in Denver and City Beer Store in San Francisco. The New York City and Chicago locations of Eataly serve keg-aged beers on draft. 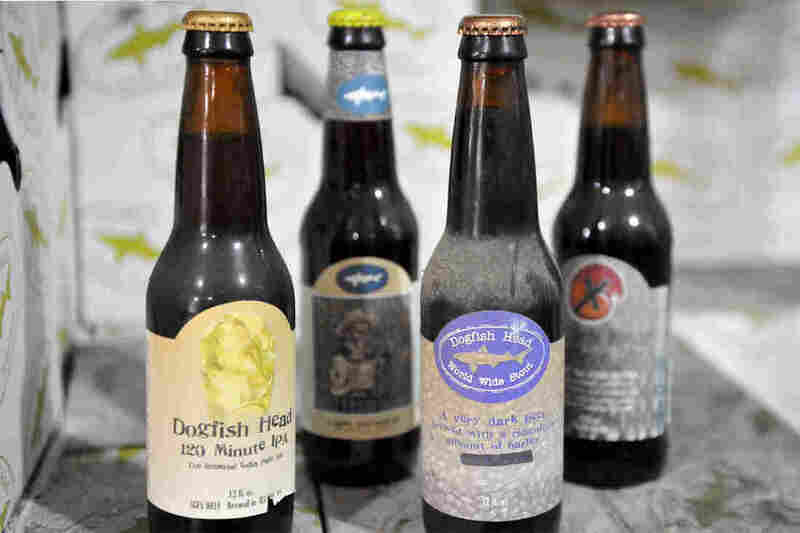 Breweries like Hair of the Dog, Stone, Avery, Deschutes, Sierra Nevada, The Lost Abbey, Dogfish Head and The Bruery, among many more, all keep aging bottles in stock. Such beers, be warned, come at a substantial premium — sometimes $30 or $40 for a 12-ounce bottle. Much more affordable is to get started with your own beer cellar — or just a cupboard. What some people do is put away a few bottles of a given beer every year, carefully marking the year of release on each bottle. Some beers, like North Coast Brewing's Old Stock Ale, come labeled with the year of production. 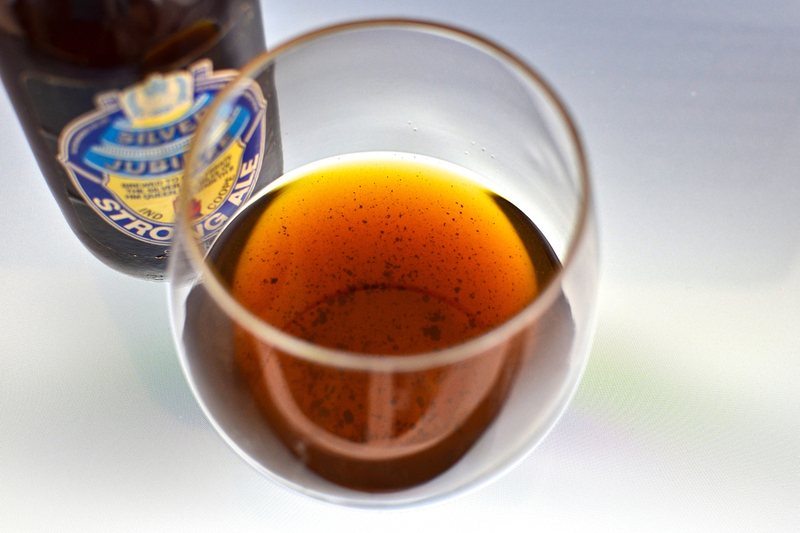 Old Stock — strong and sweet — is considered a great beer to age. So are Anchor Brewing's Old Foghorn barleywine, Goose Island's Bourbon County Stout and Sierra Nevada's Bigfoot barleywine. After several years, a bottle of each vintage can be opened and sipped side by side — a snapshot glance at how a beverage changes with time called a vertical tasting. Some beers age rapidly. Just a year or two in storage will turn a Lagunitas Brown Shugga' from a rather one-dimensional candy-sweet ale into a fudgy, malty beer with qualities of a sipping liquor. Many barleywines reputedly take many years to reach their peak. Samichlaus Classic Bier also evolves for long periods of time. While some enjoy this 14-percent alcohol lager right off the retail shelf, I've found it wretched — like cough syrup and flat Pepsi spiked with vodka. But Dawson, who has tasted aged Samichlaus, says delectable flavors of dried fruits and candy begin to emerge at three years of age. He recently opened a 1995 bottle. "It was absolutely delicious," he says. "There was tons of dried fruit, raisins, molasses, treacle and a hint of pipe tobacco." Julia Herz, a spokeswoman with the Brewers Association, a craft beer advocacy group, concedes that bottle-aging can do great things for many beers. However, she warns that improper handling — especially exposing a bottle to light or heat or wavering temperatures — can easily cause a beer to spoil. The beer will not be dangerous to drink, though, just foul-tasting. She also says to keep bottles upright, not sideways, as wine bottles are supposed to be placed when aging. And if, at the end of the process, the beer tastes bad, don't blame the brewer, she says. By the same token, if a beer tastes great after a few years in solitary confinement, you'll have yourself to thank. "I've put my thumbprint on a beer that I aged," says Dawson. "It's really satisfying. When I drink it, I get to say, 'I helped make this beer as good as it is.' "
Alastair Bland is a freelance journalist based in San Francisco.